Creativity is the most significant determinants of the performance of a display campaign. 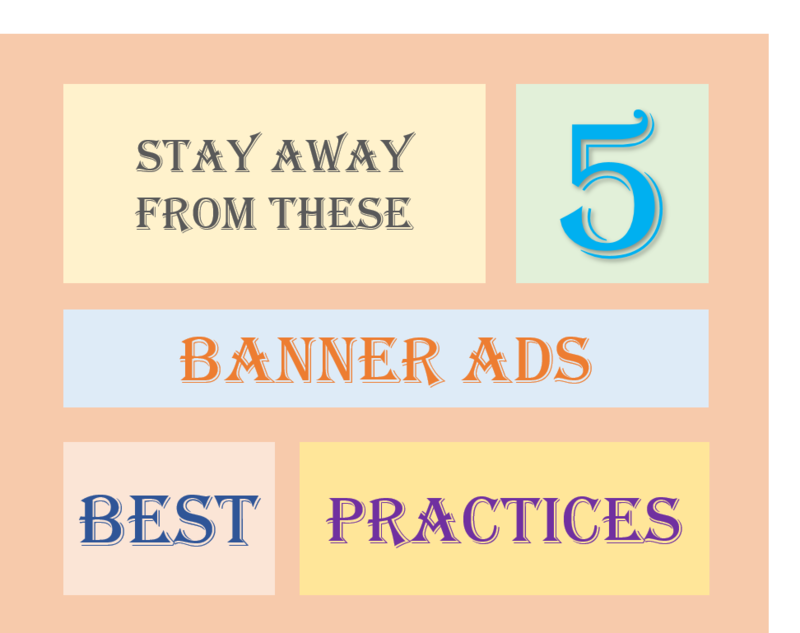 There are some standard best practices to design successful banner ads, but not all should be implemented. Some of the rules must be broken depending on your product, brand identity, and individual campaign goals. People always assume that the ads that feature the photos of people perform well when compared to photo-less counterparts. There is a full possibility for a well-employed picture to attract more attention, but sometimes a wrong photo can do more harm than the expected good. It all depends on what photo you select and how you use it. The ultimate trick is to confirm that the picture relates to the business and the campaign. If the customers can see themselves with your product due to the ad, then it is better to include a phone, if not you should try a different approach. There are several assumptions on the usage of color for the banner ads. It is believed that green attracts clicks, red draws attention, orange encourages action, and so on. But, when you look into the facts, you could find that such theory does not work out practically. You might see that sometimes red button might get more click when compared to green and vice versa. It is always better to follow the guidelines of your brand rather than depending on other’s ideas. Sacrificing your brand colors for some random color is neither advisable nor smart. Especially when you are running a retargeting campaign, the brand colors play a vital role. CTR can be helpful to measure the strength of your ads. However, several pieces of evidence prove that click does not correlate to conversion. If you want to brand yourself through your campaigns, then click are not worth recording. There are other metrics such as share of conversations and branded search. The final goal is to generate revenue and not to increase the page visits. CTR is high if you are only worried about driving traffic. Success is always measured based on the final goal and not the intermediate process. Most of the studies found that Flash as outperforms static ads. However, the metric used for these studies always remained the same, CTR. There is no compelling evidence that flash ads perform well when compared to static ads. When it comes to banner ads, do not jump to any conclusion. Do not blindly follow all the rules. Perform A/B testing and find out what audience expect. © 2012-2017, all rights reserved. Lexcis and Lexcis Logo are registered trademarks owned by Lexcis Solutions Private Limited.